At Lori’s Pride, you can be assured that our captain/s won’t rest until we are into fish. We will provide all the experience necessary. Beginners will share the same success as seasoned anglers. We are dedicated to your success; whether it’s a family outing or business that brings you aboard “Lori’s Pride”, you can expect exciting fishing from May through September. Where Did Lori’s Pride Get It’s Name? Family owned and operated, Lori’s pride was named back in 1982 when Captain Pat’s father (who is quite the character) started the business and realized his mom didn’t like fishing. At the time, everyone else had a boat named after a woman, so his father named the boat “Lori’s Pride?” – with a question mark! Pat has been a licensed captain for 30 years now after first mating since he was just 14 years old. 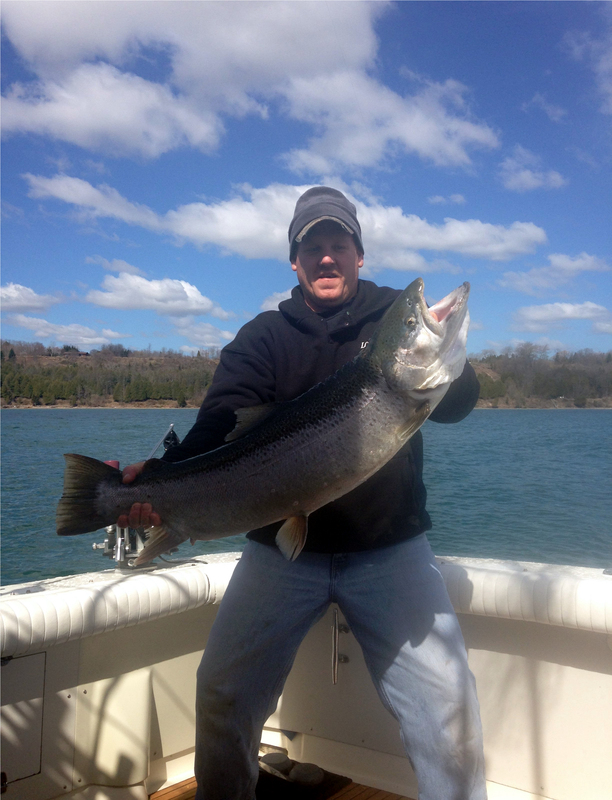 Gene & Pat Spaeth are a father/son team who have 37 years experience fishing Lake Michigan. They are fully insured and licensed by the state of Wisconsin and the United States Coast Guard. Our experience finding and catching salmon and trout successfully for so many years will ensure a successful trip for your party. We are dedicated to providing a safe and enjoyable trip with memories to last forever. 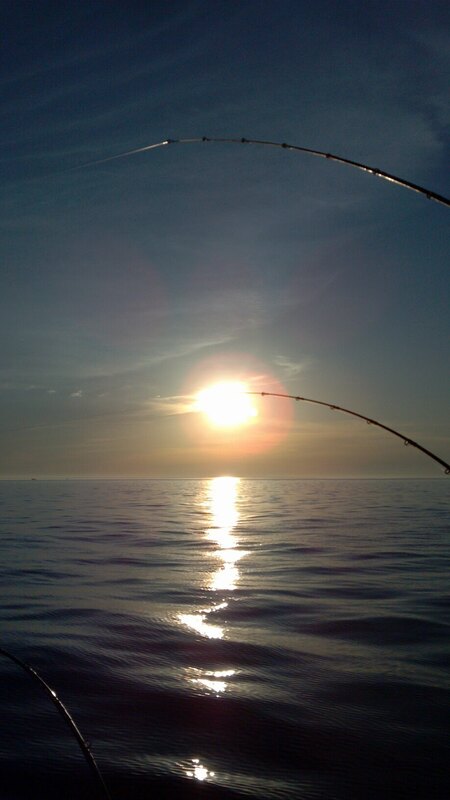 Salmon fishing on Lake Michigan, by boat is done by trolling. On a typical day we may have 15 – 20 lines out. These are set up with a variety of different presentations from surface lines (planer-boards) , dipsey divers, downriggers, outriggers, lead core etc. Trolling is done at speeds of 1 to 3.5 MPH depending on the currents and targeted species. Lures used vary from time of year as well as species targeted. Generally used baits are tinsel flys, spoons, plugs & body baits. We use the lightest tackle possible for our customers to enjoy the fight. Rods are held in rod holders so fishermen can walk around, eat, and enjoy themselves until the strike happens. It is not uncommon to have 40 – 50 strikes during a half day charter. We will be happy to explain techniques used and answer any questions regarding when, where, how, and why we do what we do to entice-em to bite.